Have you got a split personality online? One for personal life, and one for professional life? Then you’re doing it wrong! You’ve been invited to a huge, can’t-miss networking event, and everyone is going to be there – your friends, your colleagues, your clients, and even people from that awesome company you want to work for. When you arrive, you grab a name tag and head into the crowd. Throngs of people approach you, ready to strike up a conversation. However, instead of saying hi, you direct them to a specific room depending upon who they are – friends go one place, colleagues another, and so on. Seems absurd, right? And yet, this is exactly what takes place millions of times a day on social media, which is, essentially, the biggest networking opportunity of all time. If you are segmenting yourself on social media, you’re not only wasting your time, you could be wasting a valuable chance to advance your career. Conventional wisdom, thanks to nervous HR departments, opportunistic career coaches, and pundits alike, is to keep your personal and professional lives separated online. However, this convention is outdated. Back in the infancy of social media, this advice made some sense. The medium was new and scary, and people had few accounts to manage. However, today it’s a different story. Social media is a ubiquitous part of our lives, with established norms, rules and etiquette. There are 2.3 billion active social media users around the world, and the average person has 5.5 accounts. Building barriers between your personal self and your professional self is simply not realistic. And, more importantly, it’s not worth it. After all, people want to connect with other people, not corporate people or family-photo sharing people, but fully formed, complete and relatable human beings. So, instead of building these barriers that keep the people who are already in your life separated, leverage social media to strengthen your existing connections and bring more people into your digital world. Like with any good brand, in order to attract customers, you need to have something to offer. In this case, it can be your knowledge, insight or even your humour. Whatever it is, give people a reason to engage with you. In addition, you should have a unique voice that sets you apart from your competitors, along with a set of standards that ensures you are always projecting the right image to the public. Have you ever received a auto-dial call? If so, you probably just hung up. That’s because listening to a pre-recorded, impersonal and one-way message appeals to approximately no-one. If you’re constantly just copying and pasting your company’s posts, that’s exactly what you sound like. Take a different approach by injecting your personality – your brand voice – whenever possible. Also, try to engage people in conversations by responding to their posts or asking questions. While you should not be afraid to show people who you are, you also have to consider who will be on the other end of your messages. Thus, you need to be targeted in your social media activity. Always consider the medium and the audience, and then tailor your activity accordingly. For example, Facebook leans more personal, so having your content skew more personal is perfectly fine. On the other hand, communities like LinkedIn and Procurious are great for showcasing your professional knowledge, while Twitter may require more of a balancing act. Visual mediums like Pinterest and Instagram are great for conveying your interests in a way that isn’t verbose, preachy or repetitive. This is a simple rule –if nobody will care, don’t post it! The most commonly cited example of banal content is tweeting about where you went for lunch. It’s not interesting to anyone, regardless of medium or audience. However, sprinkling some personal insight – like why you support local businesses such as the great restaurant you ate at – can be engaging. It should go without saying, but never post extremist views or any content that may be inappropriate for a boss, coworker or client to see online. When in doubt, give yourself the grandma test. Would you want your grandma to see the post? If grandma would put the kibosh on it, so should you. If she’d be fine with it, go ahead and post it. Then, thank your grandma for giving you such good advice. While breaking down the barriers between personal and professional can prove beneficial to most employees, it can be a major headache for business owners. One personal misstep can have negative ramifications on your professional endeavours. If you are the head of a company, it’s almost always advisable to create a set of accounts for your personal brand, and another set of accounts for your actual brand. If you’ve spent years building up walls, knocking them down can be incredibly scary. Fortunately, there are many supply chain professionals who you can turn to for a successful blueprint. For example, Lora Cecere, the Supply Chain Shaman, and Tania Seary, the founder of Procurious, do an excellent job, and it’s why they’ve amassed such tremendous followings. 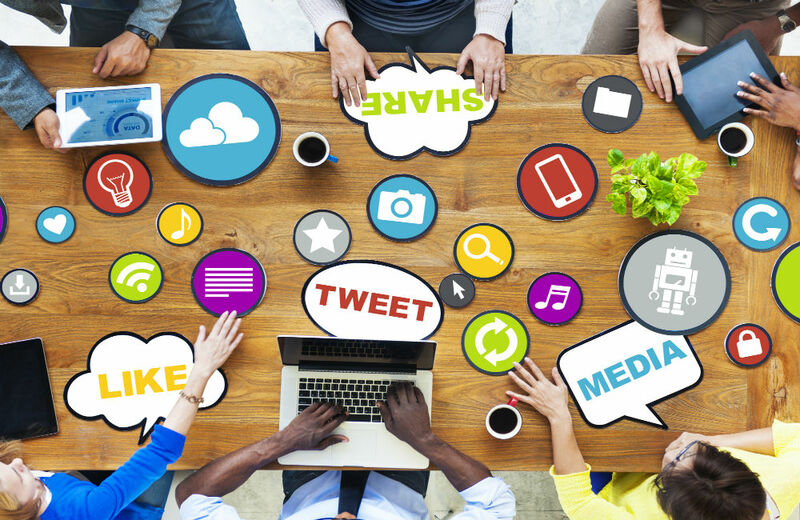 In addition, many young procurement pros know how to leverage social media assets in their careers. Nicholas Ammaturo and Wesley Whitney, two recent 30 Under 30 Rising Supply Chain Stars winners, do a great job in particular. Social media is the greatest networking opportunity of all time. While you don’t need an invitation, you do need to give people a reason to connect with you. With these tips, you can make it happen and make yourself more valuable online.